The current representative reference genome for Maize is B73 RefGen_v4 (also known as Zm-B73-REFERENCE-GRAMENE-4.0). The three previous assemblies, B73 RefGen_v1, B73 RefGen_v2, and B73 RefGen_v3 were all based on a BAC (bacterial artificial chromosome) sequencing strategy. B73 RefGen_v4 assembly utilized a new approach that relied on PacBio Single Molecule Real Time (SMRT) sequencing at Cold Spring Harbor to a depth of 60X coverage with scaffolds created via the assistance of whole genome restriction mapping (aka Optical Mapping). Error correction of PacBio sequences was facilitated by Illumina short read DNA sequencing performed at Washington University. Annotation was accomplished in the Ware laboratory at Cold Spring Harbor using the Maker pipeline (Campbell, 2014) and ~111,000 long read PacBio transcipts from six maize tissues. More complete details in the B73RefGen_v4 assembly can be found at Gramene or by reading the paper. See the Assembly Manifesto for more information. Next assembly version: The release date of the next assembly update is not known at this time (October 2018) Release dates will be posted here and elsewhere at MaizeGDB as they become available. The current version is Zm-B73-REFERENCE-GRAMENE-4.0, also known as "B73 RefGen_v4" and "AGPv4". The assembly sequence includes all 10 chromosomes, along with the mitochondrial and plastid genomes. Gaps within BACs are indicated by runs of 100 N's. Gaps between contigs are indicated by runs of 1000 N's. Information and stats for B73 RefGen_v3. Assembly process: In-depth metadata for B73 RefGen_v3 is available here. Detailed information about the V3 assembly process is available at . Information and stats for B73 RefGen_v2. B73 RefGen_v2 Information In-depth metadata for B73 RefGen_v2 is available here. Information and stats for B73 RefGen_v1. B73 RefGen_v1 Information In-depth metadata for B73 RefGen_v1 is available here. With increasing numbers of full reference genomes with structural annotation becoming available, it has become necessary to establish naming standards that span genomes and versions. The recommendation is available here. Important note: Sequential gene ids do not imply relative position. Although the Zm00001d.2 gene models were called and numbered sequentially, they may move as the assembly is improved. The current reference gene model set is named Zm00001d.2. Gene models within this set are prefixed with "Zm00001d". Associations between the new gene models and the 5b+ gene models is available here. The Zm00001d.2 gene model set is the recommended gene model set for Zm-B73-GRAMENE-REFERENCE-4.0. For RefGen_v3, the 5b+ gene model set is recommended. Other gene model sets for RefGen_v3 are provided for comparison. Due to the difficulty of determining when two gene models are the same (or when one represents an alternative splicing of the same genomic material), there are no plans to merge the sets. First complete assembly of the B73 genome. Improvements to order and orientation of within-BAC contigs using the minimum tiling path (MPT). Improvements to gene models. A de novo assembly using PacBio technologies. New annotation analysis with gene models linked to v3 gene models. No changes were made to unmasked or masked assembly downloads unless noted. 33 51 Zm-B73-REFERENCE-GRAMENE-4.0 07/14/17 174 additional gene models (organelle), changes in 5825 gene models [more], Mt and Pt sequence added to assembly downloads, new repeat masked assembly FASTA files (%Ns changed from 85.12% to 6.69%). 34 52 Zm-B73-REFERENCE-GRAMENE-4.0 12/18/16 Changes in 154 gene models [more], no changes to assembly FASTA files. 35 53 Zm-B73-REFERENCE-GRAMENE-4.0 04/26/17 Changes in 787 gene models [more], no changes to assembly FASTA files. 36 54 Zm-B73-REFERENCE-GRAMENE-4.0 Zm00001d.2 06/27/17 Changes in 154 gene models [more], no changes to assembly FASTA files. 41 59 Zm-B73-REFERENCE-GRAMENE-4.0 09/20/18 174 GRMZM ids for organelle gene models removed, 364 organelle gene models added. The B73 seed source for B73-REF-REFERENCE-4.0 was also descended from PI 550473, but was maintained for several generations prior to being used as the source seed. The seeds closest to those used for sequencing v4 were deposited at the NCRPIS (accession number: PI 677128). The B73 source for the BAC libraries (BACs with prefix "b" prepared in Rod Wing's lab; BACs with prefix "c" prepared in Peter deJong's lab) was PI 550473. 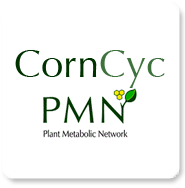 When requesting seed from the North Central Regional Plant Introduction Station, ask for any lot descended from the Coe PI 550473 lines. The stock was received directly by the North Central Regional Plant Intoduction Station from Arnel Hallauer and has been maintained by the quality-maintenance procedures at the PI Station. Ed Coe reports that, "The results of QC lab checks for constancy in PI 550473 have been excellent." The same source was used for the IBM mapping population. Maps produced at Missouri used 302 lines of this population, providing unmatched precision (resolution is at the intra-BAC level). These maps anchor the fingerprint-based contig assemblies to chromosome location. High-Molecular-Weight DNA was prepared by Jack Gardiner in the lab at Missouri and shipped to Clemson (Wing's lab at the time) and to deJong's lab (just at the time his lab was moving to California) for BAC preparation. Gramene files currently hosted at MaizeGDB correspond to Gramene version 36. See the summary of Gramene versions above. What is a Representative Genome? What are the main changes between RefGen_v2 and RefGen_v3? How can I map positions between the v2 and v3 assemblies? Where can I find legacy resources from MaizeSequence.Org? How can I identify the Filtered Gene Set (FGS) in RefGen_v3? Where can I download a GFF dump of the FGS for maize genes in v3 (5b+)? A Reference Genome is a haploid representation of a genome as DNA sequence with a defined coordinate system, and accession and version identification. A Reference genome is usually assembled de novo, rather than relying on related genomes for assembly of small DNA fragments (which would be a reference guided assembly). 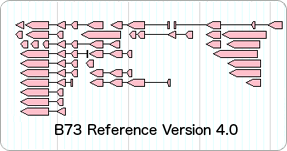 A Reference Genome usually includes the structural annotations, or gene models, derived from the sequence assembly. A Reference Genome is almost always a work in progress that gets better with the additional new data over time. Data for improvement is collected continually, and at certain times, new Reference Genome versions come out that incorporate this data. B73 RefGen_v3 is such an updated version. A Representative Genome is reference-quality genome which is considered to be representative for a species. For maize, the representative genome is the Gramene B73 genome assembly. X contigs were moved or flipped. Use the Ensembl assembly converter tool at Gramene. At the Gramene ftp archive. In the 5b+ gene build, the former FGS gene models are indicated as protein-coding. From the Gramene 5b+ ftp folder.